These are two tools for community management of water distribution points or sanitation systems, by which we mean management by communities of residents of a village or neighbourhood, which was presented in more general terms in file C5. Management committees are the oldest type of structures and often the most widely used. 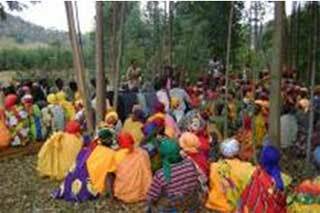 Users associations are a more recent form of community management which may be more complicated but which represent a longer-term, safer and more official solution that can be used in national or regional water and sanitation planning, expansion and access control programmes. The goal of this file is to explain in concrete terms how to set up and run these systems, which have quite a few points in common. This system is used in all situations where the communities want to take an active role and involve the local population in managing infrastructure, often out of necessity, because there are no public programmes for water service or sanitation. It concerns both rural and urban areas (on the outskirts of urban areas for the most part). First because it is a good idea to encourage communities to become involved in managing, monitoring and checking infrastructures that are absolutely necessary for proper living conditions. Secondly because the public sector is often lacking, either because there is a lack of commitment at the political level, because decentralisation has not taken place or because the organisation and resources are lacking. Lastly because this type of management can help encourage public bodies or small private operators to take over operations later on. 4) What do these indicators involve ? How are they used ? There are currently two main structures for community management, the first one being more flexible and more commonly used, while the second is more official and more structured. And although they are similar in many ways, they have specific characteristics as a result of different aims or situations. They were initially created for installing hydraulic structures (wells, pumps, drills, etc.) ; they now exist for sanitation systems (latrines, water works for collecting and treating wastewater) although this is less common, or even for creating other types of projects and systems such as developing garden produce farming. To simplify things, only water associations and committees will be discussed here because the characteristics remain virtually unchanged for whatever type of service or project is concerned. Committees are made up of a limited number of active members (often there are a dozen but there can be fewer) elected by a general assembly made up of all the users ; it is then divided into a board of directors and technical commissions. The board of directors is made up of at least a president and a treasurer. The president’s role is to make sure the water source is managed well. The treasurer or treasurers are responsible for finances and accounting. There may be other members of the board of directors – a secretary responsible for, among other things, administrative management of the committee, representatives of the technical commissions, of the local government, other organisations and women, as their representation should be strengthened. The board of directors is the executive body ; it guarantees the proper functioning of the technical commissions and ensures that the water source is managed and maintained well. The other members, in addition to participating in debates and voting on decisions to be made or the budget proposed by the president and the treasurer, are taken from the various technical committees. There are generally four of these : finance, maintenance, health/hygiene related to water and making good use of surpluses. Each of the commissions carries out the measures that the committee has decided upon for its field, under the supervision of the board of directors. In order to fulfil their role, the members should receive training appropriate for their commission. The selection of board members should be done in such a way that the committee is seen as legitimate and is representative of the entire population, including the least fortunate among the community. Ideally, they should be truly representative of the population and well-known amongst them, and then can be elected by them. However, it is not absolutely necessary to hold elections because while that is the most democratic method, they are often complex to organize and sometimes do not correspond to the local culture and its criteria for legitimacy. “Legitimate” members may be leading members of the community or religious leaders or simply local residents who have received training or those who are most involved in management of the water source. They are elected during the general assembly at which time only residents who are present can vote. The members of the board must draft rules and regulations that determine the frequency of their meetings (often monthly with special meetings held when the president feels it necessary) and the role of each commission. The secretary is in charge of keeping the minutes that summarize any decisions made during meetings and writing reports about activity between meetings. The finance commission is charged with drawing up a draft budget, keeping the account books and if possible, in order to avoid problems, opening a bank account (often difficult if the committee does not have an official status). This commission identifies future expenses and plans the finances in order to be able to pay for them. Its goal is to keep balanced accounts. The maintenance commission is in charge of keeping the equipment in good working condition ; the training that its members receive should allow them to note any problems and deal with them accordingly, most often by calling on a private service provider with whom the committee signs a maintenance contract. The commission does not have to do the maintenance itself, it must however need to make sure that it gets done. Lastly, the Surpluses commission proposes plans for using surpluses of either water or money. 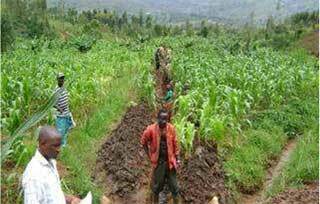 That can take the form of additional investments or for example developing a vegetable growing activity that will bring in revenue. The committee also has to pay the person or people in charge of the standpipes (people in charge of distributing water who also serve as guardians of the site). The committee’s responsibility to the population is to collect the income resulting from the sale of water or any exceptional charges (fines, gifts, legacy, etc.) and then also to promote the water source among the local population. For that they will need to set up awareness raising and education programmes for water and hygiene issues. With the idea of providing a good service, it is important to make sure that the population is kept up to date on the committee’s activities and that they are consulted so that their expectations and needs can be met ; otherwise, residents may lose interest and stop going to the water source and go back to their old habits. As far as internal workings go, the association needs to train its members, using trainings given by local professional organisations or NGOs, and also by sharing with other members knowledge that they themselves have. The way the price of water is determined is up to the Committee. This may be difficult especially when people are not used to paying for water. But if water from a new facility is free, it will be impossible to finance its operation or to save the funds necessary to maintain or develop it. There are several methods of collecting. Of course, one possibility is to pay regular dues, perhaps monthly or at certain periods such as harvest time or at a holiday or festival. Most often these dues are paid with money but payment can be made in millet or other cereals. However more and more often prices are set by bucket (the rate may vary depending on the location of the village and the equipment involved or the local revenue). The fees are generally collected by the person in charge of the water source, who has a very difficult role because he, or she, must not give in to the temptation to collect additional favours or provide credit without the approval of the committee. These two methods of payment may be used together. A 15 litre bucket of water from a standpipe is generally sold in Africa for around 10 francs CFA (or about one euro cent). This description is the ideal, but in actual fact management committees are not always so well managed – meetings may be irregular, with no minutes or reports, the account books are not kept properly, members are not elected. Here, the absence of an official status for the committees means that they are not forced to function according to strict rules. Management committees then are often in charge of managing the day-to-day workings, selling water, collecting fees and paying salaries and small expenses as they arise, rather than being responsible for the “management” of the resource in the long term. All too often, the organisations or NGOs that finance water capture or sanitation facilities are too easily reassured with seeing that in the programme that residents provide a management committee is included, but they do not check how they are really going to be constituted. And because they often don’t have the time or the possibility at the end of their programme, they also fail to follow up on the proper functioning of the Committee a few years after it is created. For larger installations (for example, those that concern at least 1500 people) and when the context allows, it is better to create a “water users association”. A water users association is a tool for more serious, effective management that still helps to bring about reforms that are desperately needed but unfortunately all too uncommon regarding decentralisation ; in some countries in recent years the intention is to transfer water source management from the state or regional level to a local level, generally by groups of villages. They are an interesting interim alternative for harmonious water management when the facility cannot yet be taken over by a municipality. They provide an official status with legal recognition that allows for greater transparency and more effective management of water sources. An association is composed of a general assembly, a steering committee and possibly a board. The constitution of these different components may vary by country. For example in Benin, for every public water source (or standpipe) in the network there is a Water Source committee made up of representatives decided upon in the assembly by the users of each standpipe (the water source committee is in charge of maintenance at the standpipe and sanitation on the site. It recruits and monitors the water seller in charge of the standpipe. The water source committee has a fund out of which it pays the person in charge of the standpipe a percentage of the water sales). All the representatives of all the public water source committees in the network make up the WUA general assembly. This assembly elects a steering committee to manage the network that should include at least five members – a president, a secretary, a treasurer, a development association representative and a women’s representative. There does not have to be a board in addition. In Senegal, every water source has a delegate to represent it in the steering committee, as does every town, every association (women’s, sporting, cultural associations, etc.) and every economic group (herders, vegetable growers, businesses). The steering committee is then divided into four commissions (the same as for the management committees, fulfilling the same roles) and there are four commission presidents as well as a secretary general and a “cosignatory” (representative of the general assembly, who must sign documents alongside the president in order for them to be valid). The president is by default the president of the finance commission. In the case of Senegal for example, the board and the commissions work the same as for a management committee, with the difference that they are the ones to execute the decisions made by the general assembly, under the management of the steering committee and the co-signatory. The WUA can choose to manage the facilities themselves or to delegate that responsibility. In Niger, in the Ministry of Hydraulic Works and the Environment’s “proposals for a sector-base policy”, the responsibilities are divided between the users association which is in charge of monitoring and following up on the services and a private operator or an executive body (steering committee) that is in charge of operations. There is a clear distinction between management and operation (entrusted to an employee if there is direct operation, to a farmer if the operation is delegated) which has the advantage compared to traditional management committees of separating the two functions. In Benin, the WUA’s general assembly selects the type of operation, sets the price of water and approves the budget estimate, proposed by the committee director. The assembly decides on proposals for replacing and expanding facilities. - The signature, upon the installation of the facilities, of a cession and operating agreement between the site owner (currently the State, but in the future the local governments) and the WUA. In this agreement the WUA receives the use of the water capture structure, which remains the property of the State (local government), along with the ownership of the pumping facilities and the distribution works. The WUA is responsible for managing the facilities and sells water by volume to ensure that the facilities can be replaced and expanded. - the signature of a contract with an operator by which the WUA entrusts the operation of the facility and the distribution service to one or more employees if the Association operates the facility directly or to a farmer if the operation is delegated ; this person’s tasks and responsibilities are laid down in the contract. - participation by users in the initial investment and their involvement in the management of the facilities (approval of a draft budget, setting the price of water, replacing and expanding the facility) including awareness-raising campaigns if necessary. - Preservation of the state’s role in water resource management, definition of the operating conditions, controlling financial management for operations, follow-up and support for the WUA. The methods are more or less the same as for management committees (see above) but are generally more secure. There is one important difference which is that it is the State or the local government and not the WUA that sets the price of water, although the WUA’s proposal is taken into consideration. This organisation model responds to criticisms that have been made concerning the way some management committees work (lack of transparency, continuity and control of management, a real lack of legitimacy for the structure that represents users). This type of system is now being used more widely, but its expansion is slowed by the fact that there is a lack of decentralisation of power from the States to the local communities in many countries. 1) There is a serious temptation, especially in villages with very limited resources, for the person entrusted with the money from fees or water sales, even if they are a major figure in the village, to “borrow” or to lend that money, especially if it is a large sum, to individuals or to groups in the village for other projects, becoming a sort of bank, which themselves are often lacking. 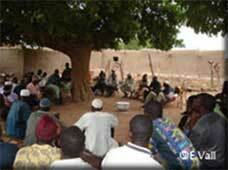 Example : in Guidiguir (Niger), the population asked the members of the management committee to distribute the fund’s savings. With the extreme poverty in the village, the committee members gradually gave in to the increasingly insistent demands and then no stopped giving users that connection to the results. Consequently, they were not able to correctly maintain and repair the facilities, which became unusable. - opening a bank account that requires dual signature, where possible. 2) To reduce the pressure that some may put on the treasurer or the members of the committee and because the savings intended to replace and expand facilities are often not understood, it is important to provide education about the project and how it works for the entire population. 3) There should be training for several members of the Committee and in particular for the treasurer about management and simple, transparent accounting. 4) Limiting the number of members and the length of their terms is one measure that is often taken, on the condition that members are well trained, competent and give regular accounts of their actions to the population. 5) Particular care needs to be taken when drafting the rules and regulations. In addition to a fair division of the responsibilities and rights of each party, it must include gradual sanctions for failure to pay in order to prevent people from not paying. - Both tools are flexible – especially the management committees – although some skills are to be hoped for, no particular skills are required since members are to be trained for their position. 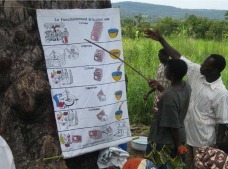 - They make it possible to increase community well-being, in particular by ensuring improved hygiene at the water sources, and encouraging economic development (improved health, creation of jobs such as the person responsible for the water point, mechanics and maintenance and training personnel). - They result in programmes that meet the real needs of the population at lower costs. - WUAs have the advantage of being recognised by the State and enjoy an official status, which imposes certain restrictions intended to ensure their transparent functioning and their sustainability, thereby increasing their legitimacy and making it possible for the association to sign contracts with the state or local authorities. - These tools may not necessarily be used well everywhere because they are particularly adapted to an area where there is a homogenous demand : it is best if the purchasing power, conditions and customs in the community where there will be a WUA or a management committee are relatively homogenous and the members should need roughly the same amount of water. - Committees sometimes are not transparent and lack legitimacy. - Problems collecting and keeping throughout all seasons the funds that are necessary for operations, maintenance and expansion of the service and for them to remain the beneficiary owner and pay personnel well. - Many committees and WUAs do not involve enough women and many are made up more of community figureheads rather than people who are competent and motivated. 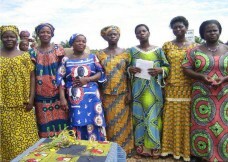 - There are very few WUAs that include special representation for the poorest people to be served. Experiences in different regions have shown that management committees and users associations that are too small sometimes have trouble accomplishing their goals, because they do not have enough resources, be they financial, technical or management related. It is often difficult in these situations to set up an adequate pricing system that will make it possible to maintain the facilities or to convince the population to pay fees that are high enough to repair and replace equipment. 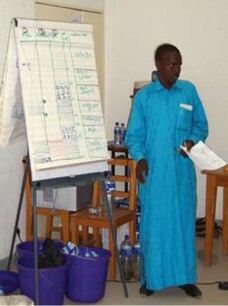 It is also hard to save this money, keeping it in a safe while there are no immediate expenses for the water source but many other more immediate needs in the village ; to establish contracts with reliable local artisans for maintenance ; to provide quality training ; to have access to a trained technician if necessary ; to rigorously monitor quality and finally to remain informed and establish a structure from which to debate and contract with the public authorities, craftsmen and businesses. Therefore people think more often or indeed are forced to pool the resources of various management committees or users associations within a village, district or region. to creating local federations with these same committees or associations or even organisations similar to unions including different towns even including simply grouping several management committees into a users association. This combination of management structures makes it possible to increase the resources ; to have a single, competent contact who is effective in their role as the hinge between users, local authorities and local private operators ; to make sure that repair funds are brought in and kept securely ; to more easily put out calls for tender and to simplify maintenance and sustainability of the facilities. The cost of forming and running a management committee or a WUA, excluding operating costs for the water source, is almost nothing as most of their members are volunteers. At almost no cost then, these tools do make it possible to realise large savings compared to a more traditional method of management and those savings are passed on to the population. - In order to remain on good terms with local authorities, it is suggested that at least one place be reserved in the management committee for a member of the town council, as is generally done in WUAs. - Do not cut corners or try to save money on training. - The role of women is very important as they are the most directly concerned by water supply ; they should be closely involved in management of the water source, even if that means setting a quota for the number of positions they hold in the management committee or the users association. - Keeping updated records or a log of the various actions that the commission takes is recommended – an account book for the finance commission, a maintenance log for the maintenance commission, etc. These records can be helpful in making the actions of the committee or the association more transparent and they also serve as reference documents for those responsible for the various commissions in the future. - The management committees should take careful note of various details and data, including those related to equipment malfunctions and breakdowns, and keep them in the appropriate files so that they constitute a database that can be provided to the competent authorities, providing the best follow-up and maintenance for facilities in an entire region and constituting a source of advice on good maintenance practices. - The price of water should be set at a fair and reasonable rate, better based on volume rather than a flat fee in order to be fair and prevent people wasting water, thereby ensuring the sustainability of the facility. - It may be appropriate to provide compensation for the members of the management committee or user association steering committee when they invest time and are very involved. - Develop information and training campaigns to raise awareness among the populations as to the benefits for their life hygiene of getting water from water sources managed by the committee or the association. - Guaranteeing a certain level of quality in the service. With that aim in mind, the average distance that residents should have to travel to reach the closest source of water is considered to be “far” if it is greater than 120 m in urban areas and 250 m in villages. Similarly, residents should not have to wait more than 20 minutes to get water. - Lastly, the price of water makes a difference to users – their water expenses should be reasonable and economically acceptable. Most international organisations judge that that expense should not exceed 3% of their revenue, a level quickly exceeded for the very poor. - ISF (Ingénieurs sans frontières, Engineers without borders), AFVP (Association française des volontaires du progrès, French association of volunteers for progress) and PSEau (Programme SolidaritéEau, Water Solidarity Programme) ; “Community management of secondary water capture centres in the Matam Valley”, 84 page report relating the interesting results of a pilot programme, the most interesting portions are pages 11 to 14, 39 to 45 and Appendices A4 (rules and regulations) to A6 which give examples of contracts signed.